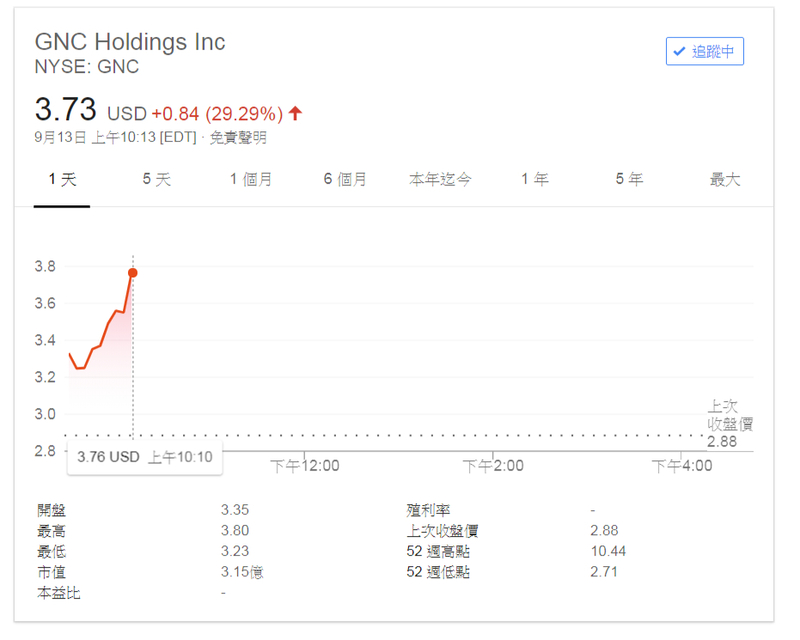 GNC(NYSE:GNC) 健安喜:全球最大保健食品連鎖店 - 舊討論區 - 巴菲特班 洪瑞泰 (Michael On) - Powered by Discuz! PITTSBURGH, Feb. 28, 2018 /PRNewswire/ -- GNC Holdings, Inc. (NYSE: GNC) (the "Company") today announced that the term lenders under GNC Nutrition Centers, Inc.'s ("GNC Nutrition") credit agreement have approved the extension of the maturity date of the term loans held by such lenders by two years to March 2021, subject to certain conditions, in addition to certain other modifications to the credit agreement. In addition, GNC Nutrition has cancelled its existing revolving credit facility, entered into a new $100 million ABL Revolver and a portion of the extended term loans have been exchanged for ABL FILO term loans which, together with certain newly funded ABL FILO term loans, equal $275 million in aggregate principal amount. The ABL Revolver and ABL FILO loans mature in August 2022 and December 2022, respectively, subject to certain conditions. The completion of the amendment and extension process satisfies a condition to closing of the previously announced approximately $300 million strategic investment in the Company by Harbin Pharmaceutical Group Holding Co., Ltd ("Hayao"). Both parties are continuing to work together to complete the transaction. "This amendment improves our financial flexibility and is an important milestone as we work to complete our transaction with Hayao," said Ken Martindale, chief executive officer of GNC. "We are very pleased with the strong support we received from our term loan lenders. We remain focused on continuing to enhance the customer experience and deliver innovative products as we drive improved financial performance and long-term value for our stakeholders." The deal will sees Hayao's investment in GNC be funded in three separate tranches, starting with an initial $100M investment to be made by November 9. Per the agreement, Hayao will be entitled to designate two directors to the GNC board after completion of the initial closing, increasing to an aggregate of five directors after completion of the second closing. GNC +13% in premarket trading.